Professing admiration for the Juke requires a follow up of caveats like "it advances crossover style" and "not all cars should look the same." 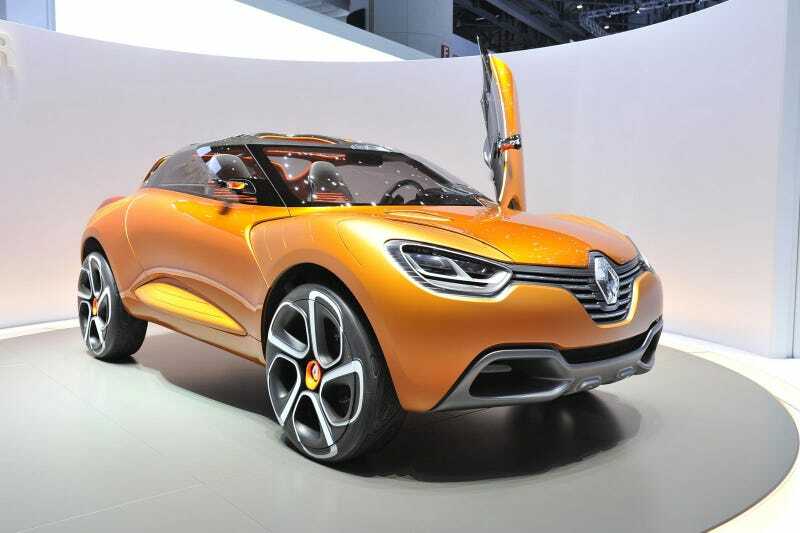 Renault's Captur concept approaches the same challenge as the Juke, but with a design requiring no qualifications. Like the Juke, this small crossover is intended more for soft-roading than true off-road destruction and comes with a peppy little motor. In the case of the Renault it's a twin-turbo low emissions diesel putting out 160 hp. More than adequate. It may never see production, nor will it likely ever cross these shores, but if Nissan wants a follow-up to their suddenly popular XUV perhaps they can borrow a little from their French cousins.